A church in Northop could be demolished to make way for new housing. 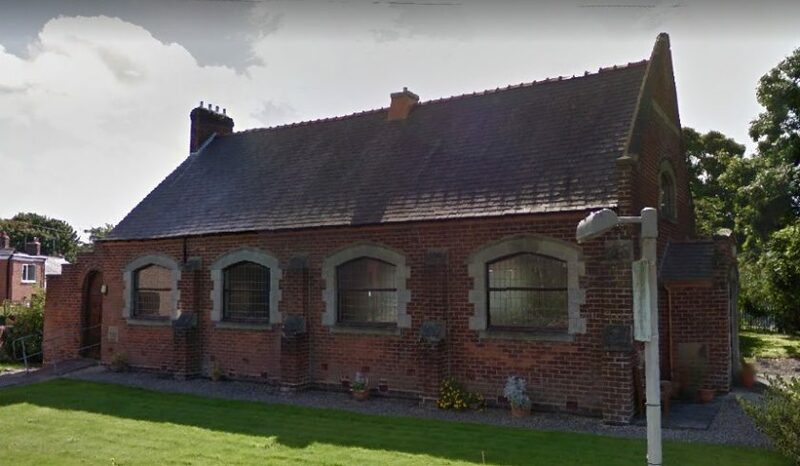 Plans have been submitted to knock down the United Reformed Church on the village’s High Street to be replaced with four houses and two apartments. The proposals have been put forward by Wales and West Housing Association as part of an affordable housing development. A special service was held to mark the closure of the church in November 2017 as its congregation grew too small. At the time, Peter Brown, who provided assistance at the chapel for over 20 years, said he was saddened by its closure. He told a local newspaper: “I was very upset about it closing, and a lot of people are upset too. According to planning documents, the new properties will be built to Welsh Government standards. The proposals include a parking area and private gardens for residents. Permission to demolish the church was granted by Flintshire Council in October 2018. In a decision notice, officers said: “There is a proposal to redevelop the site by Wales & West Housing with two storey affordable housing, which is acceptable in principle. “The site is immediately adjacent to the conservation area. “The conservation officer has requested that a planning application is submitted, rather than the application being dealt with under prior approval. “However, the site is not within the conservation area itself, is not a listed building or a building of local interest, therefore it is acceptable for this application to be dealt with under prior approval. Comments are currently being invited on the housing proposals via the Flintshire Council website. The authority is aiming to make a decision on the plans by February 28, 2019.